Herbal medicine is one of the oldest forms of medicine in the world and has been continuously practised here in the UK throughout history. Natalia and Helen practise Western herbal medicine which is based upon an orthodox medical training and the traditional use of plants combined with modern scientific research and clinical trials. Herbal medicine is plant-based medicine and can be used in many forms including liquid tinctures, herbs teas, powder capsules or oils and creams for topical use. One of the principles of herbal medicine is based upon the philosophy that the body is always striving to heal itself. By considering the person as a whole and unique individual, our therapists use plant medicines to stimulate and encourage this innate desire to heal. The food we eat, day in day out, has a profound effect on our health, but we are bombarded with so much information and advice, often conflicting, that it’s difficult to know what’s healthy and what isn’t. Even small changes can make a significant difference – provided they’re the right changes. Personalised nutritional therapy helps you find the diet and if necessary supplements that are right for you, based on the latest scientific evidence and taking into account your needs, your likes and dislikes, and your budget. Your initial consultation will last an hour and a half and your therapist will take a detailed medical history, not only looking at the condition for which you want treatment but also considering your health as a whole. Once she has gained an understanding of your needs, your therapist will explain your options for treatment and agree a treatment plan with you. Your herbal medicine will be dispensed at the clinic for you to take away with you. You may be asked to purchase teas, creams or supplements independently in addition to your herbal medicine. You may also be asked to adjust your diet to enable the body’s return to health. This can be done at a pace to suit you and the emphasis will be on adding health-giving foods to your diet as opposed to cutting foods out. If you are taking any prescription medicines, your therapist will ensure that the herbal medicines and supplements she prescribes will work safely along side them. You may need a number of repeat visits, their frequency will vary according to your state of health and how quickly you respond to herbal medicine. Chronic, long-term problems generally take longer to clear that short-lived ‘new’ problems. Natalia has practiced as medical herbalist in 2003, when she obtained her first class degree in herbal medicine from the University of Central Lancashire. More recently she completed her MSc in Nutritional Therapy at the University of Westminster in 2015 with a research project on diet and migraine. Natalia is a member of the National Institute of Medical Herbalists (NIMH) and the British Association for Applied Nutrition and Nutritional Therapy (BANT). Natalia is one of only a handful of therapists in the UK who are trained in both Herbal Medicine and Nutritional Therapy. Helen qualified as a herbalist in 1997 and has since practised in a large natural-therapy clinic in Edinburgh, with the NHS in Huddersfield and as a Clinic Supervisor for BSc degree students of Herbal Medicine at the University of Central Lancashire. In 2014, Helen graduated with an MSc in Herbal Medicine. Her dissertation explored how spending time in a natural environment can impact our health and she continues to explore innovative ways in which to reconnect people with the Great Outdoors – and all its proven benefits to health! Helen is a member of the National Institute of Medical Herbalists (NIMH) and the College of Practitioners of Phytotherapy (CPP). Taking a natural approach means understanding both the illness and the patient. In the first consultation your therapist will take a detailed case history and performs any necessary examinations to reach a diagnosis. She prescribes and dispenses the first course of herbal medicines, and may also recommend dietary changes, nutritional supplements and laboratory testing as needed. 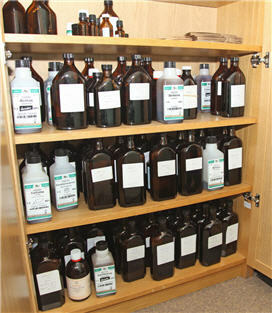 Herbal medicines £8 per 100ml (or approx one week’s supply). Nutritional supplements at Manufacturer’s RRP less 10% discount. Follow-up consultations are a chance to review progress, discuss results of any laboratory tests and make adjustments to your treatment to reflect your changing health picture. 2 easy ways to book an appointment. Use our 24 hour online appointment booking system. Easy to use and you can specify a time and date to suit your requirements, even request a particular therapist! Our herbal medicine is ideally located in South Warrington, Cheshire, just 1 minute from J10 on the M56 (View Map) Cheshire Natural Health’s fully trained clinical herbal medicine practitioners treat clients who travel from various locations to use our services, not just the local Warrington & Cheshire areas, including Chester | Manchester | Liverpool | Wirral | Bolton | Northwich | Winsford | Stockport | Wilmslow | Hale | Altrincham | Sale | Macclesfield | Buxton | Wigan | Southport & across the Cheshire & North West region. Herbal Medicine Warrington | Herbal Medicine for allergies, hay fever | Herbal Medicine for menopausal problems; insomnia | Herbal Medicine for cystitis; migraine, constipation | Herbal Medicine for ME; Period problems | Herbal Medicine for eczema, psoriasis | Herbal Medicine for arthritis, rheumatism | Herbal Medicine for Diabetes, Chronic Bronchitis & Emphysema.